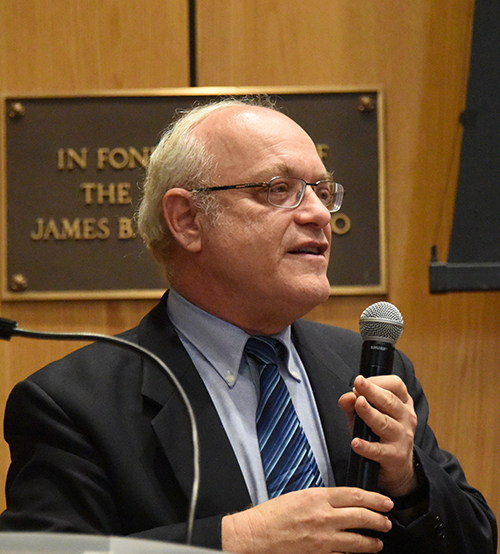 On June 21–22, Fordham Law School hosted the Third International Agunah Summit featuring a keynote address by Israel Supreme Court Justice Neal Hendel as well as insights from leading scholars and activists from the United States, Israel, and Canada. Jewish law requires that an Orthodox Jewish marriage be terminated not only by civil law but also through Jewish law with a divorce document called a get, without which the couple is not considered divorced. 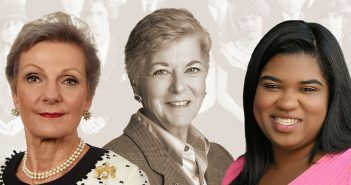 The consequences for failing to obtain a get can be life-altering, especially for women. As such, the summit examined how Jewish divorce laws not only affect the get-refused agunah but divorce settlements of all Jewish women who are terminated under religious law. An agunah is a married woman who is separated from her husband for whatever reason but who is unable to remarry under the law until she receives a get. 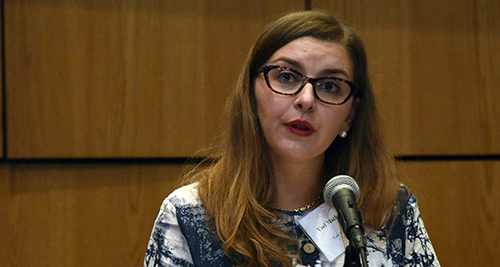 Fordham Law School’s Institute on Religion, Law & Lawyer’s Work sponsored the summit, along with NYU Law School and the Center for Jewish and Democratic Law at Bar Ilan University in Israel. Both NYU and Bar Ilan University have previously hosted the summit, which last was held in Israel in 2014. 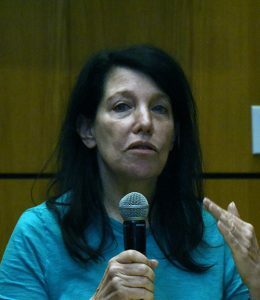 Sinclair noted that for progress to be made on divorce issues involving Orthodox Jews there must be a “blessed alliance between academics and activists.” It was leading activist Blu Greenberg, founder of the New York-based Jewish Orthodox Feminist Alliance (JOFA), who contacted Sinclair about hosting the Third International Agunah Summit at Fordham. “It says something quite special about life, relationships, and mutual respect that a Jesuit university can host a conference on something that is deeply internal for the Orthodox community,” said Greenberg, who has been a leading agunah activist for more than four decades. Longstanding agunah issues, such as debt extortion, remain largely unsolved since the first summit in 2013, but Greenberg shared optimism that activists are nearing a resolution that would shift the paradigm in the Orthodox community to zero tolerance on abuses. Hendel added that the rabbis he has spoken with want one solution, and that there is a growing consensus that a woman should be allowed a get. “To some extent, there is more of a common ground than there once was because of the recognition this is something that shouldn’t be, that this is distorting God’s name, distorting God’s word,” Hendel noted. The notion of get negotiation or extortion is a “learned tactic that become hegemonic and normative” in the last 50 or so years, observed Yael Machtinger of York University in Toronto during the opening session. “In a sense, it’s not the persistence of get refusal that is noteworthy, because unfortunately abuse, power, and violence can be normative characteristics of all types of conjugal relationships, Jewish or not,” Machtinger said. “What is noteworthy, I argue, is the leadership’s reluctance to mend the gash in the fabric of its own society,” she added.